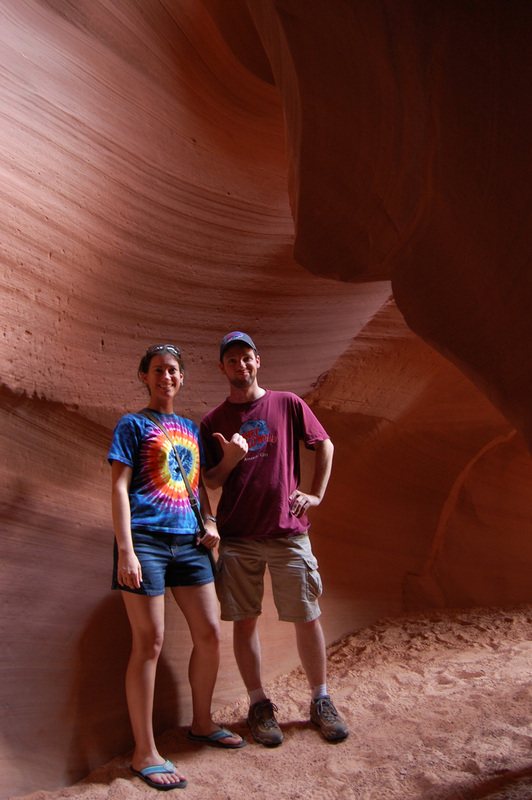 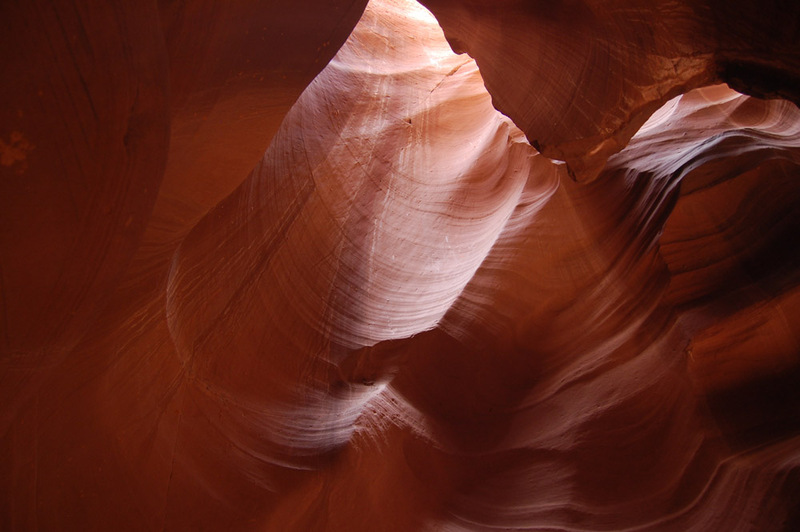 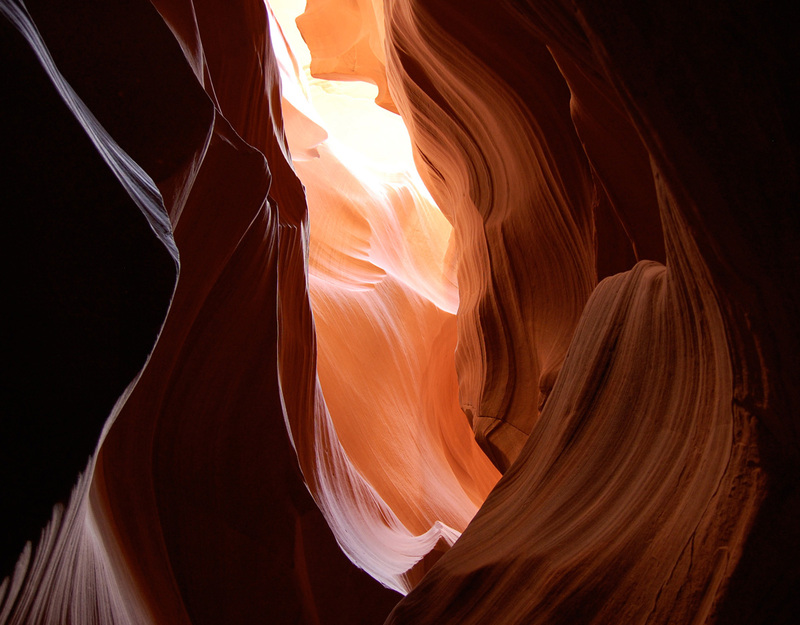 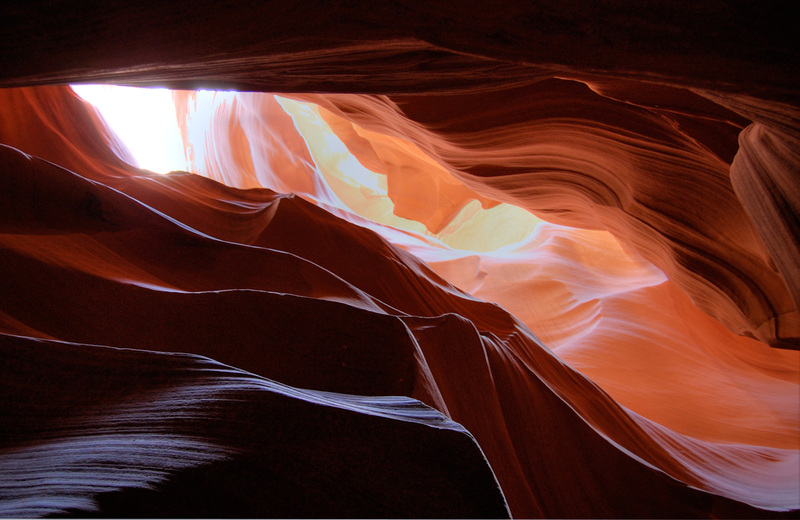 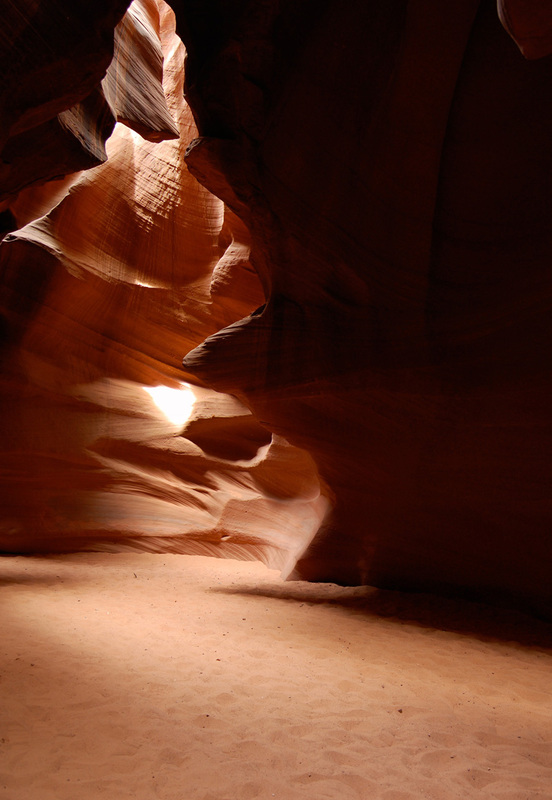 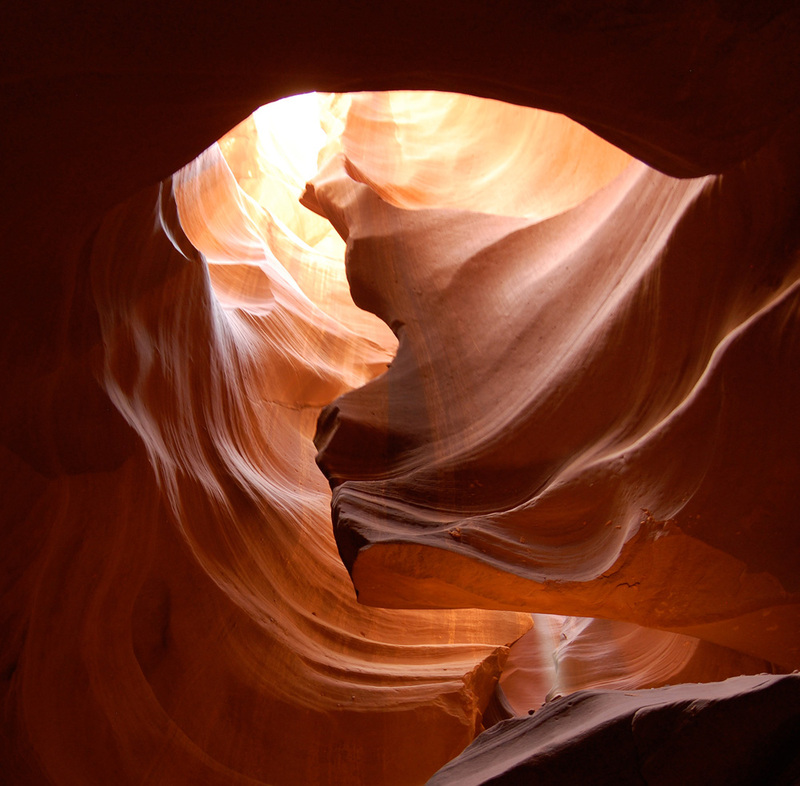 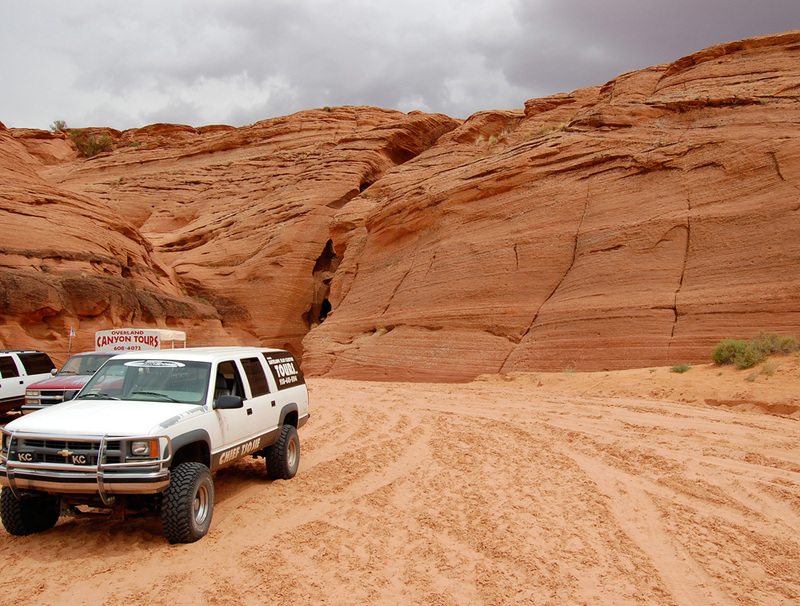 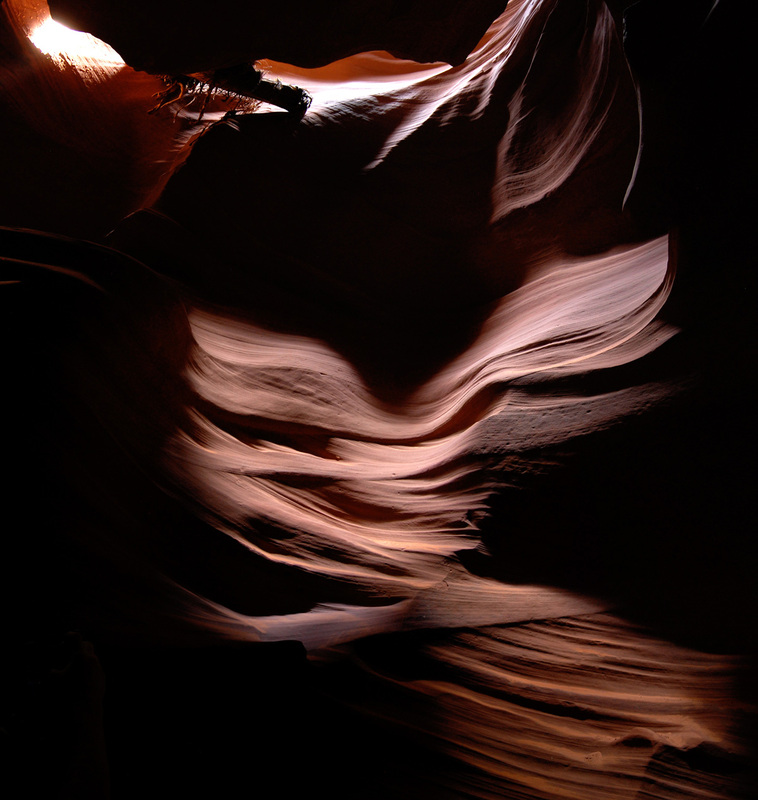 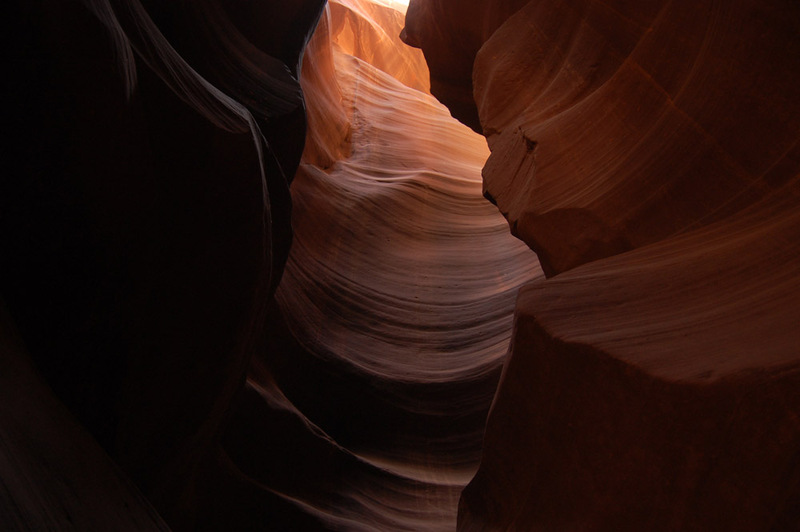 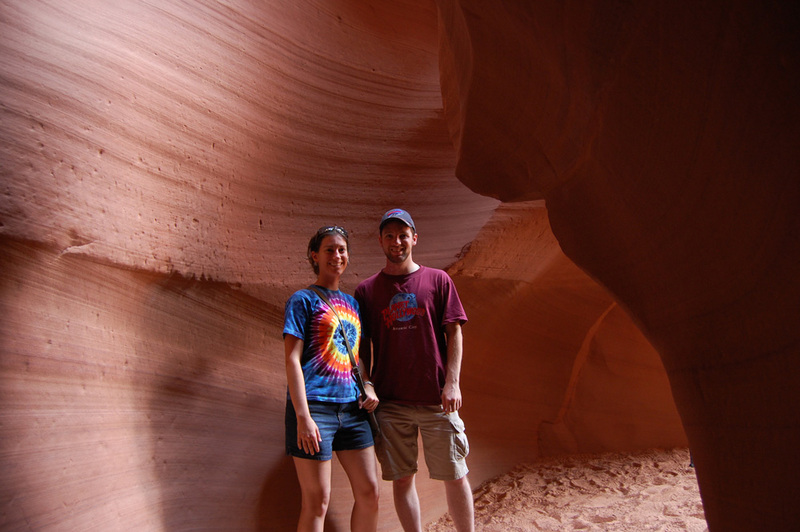 Summer 2009: As part of a larger road trip, I journeyed to Antelope Canyon near Page, Arizona. 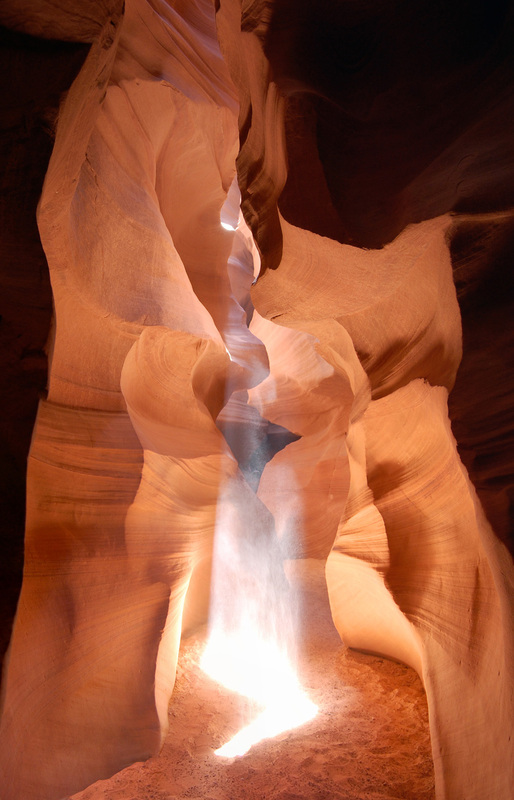 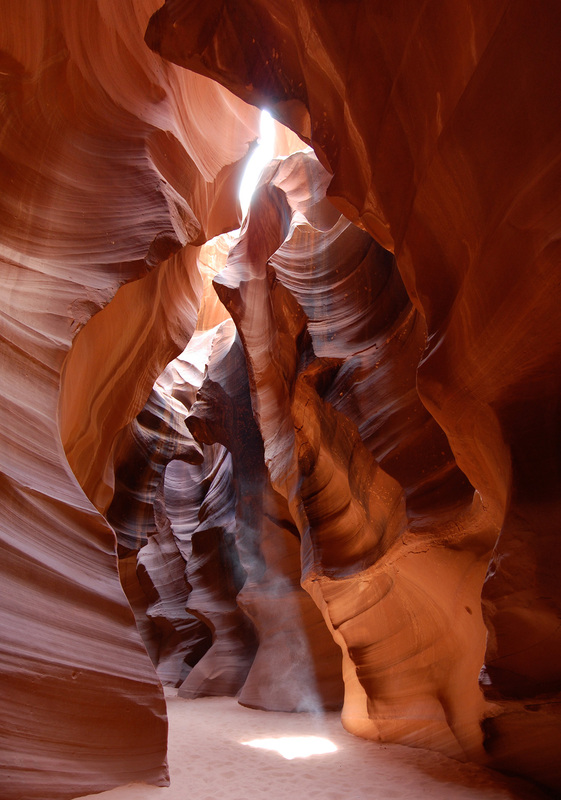 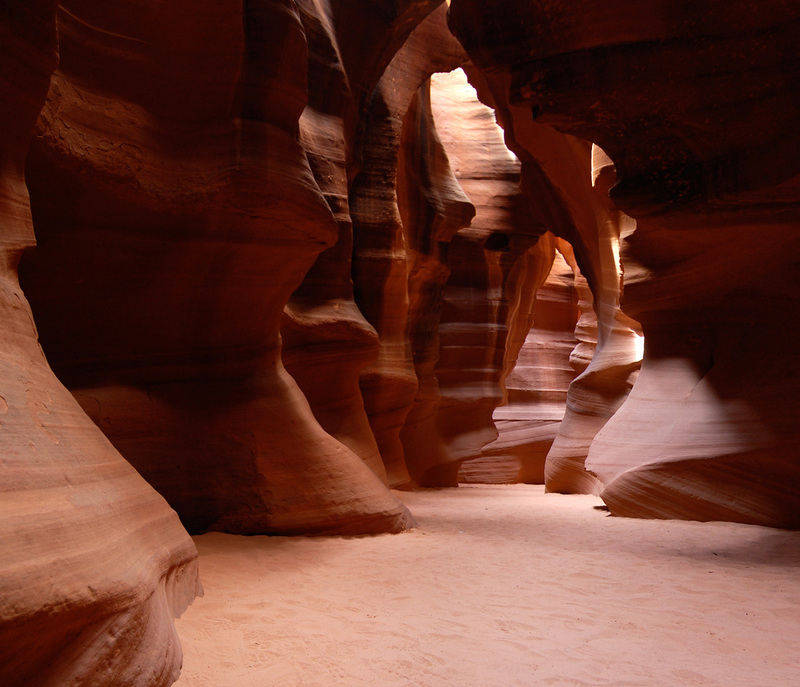 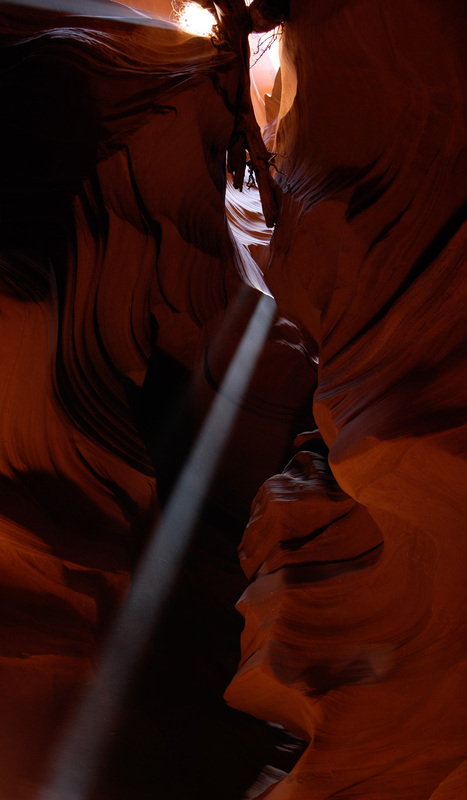 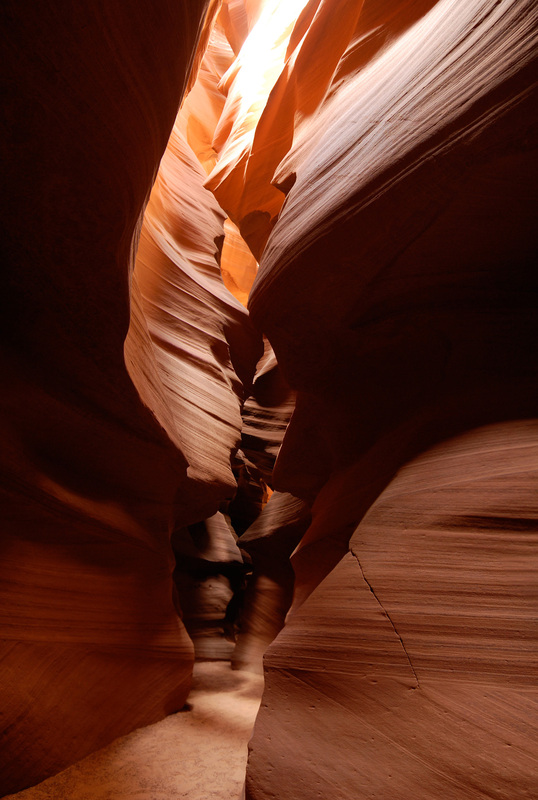 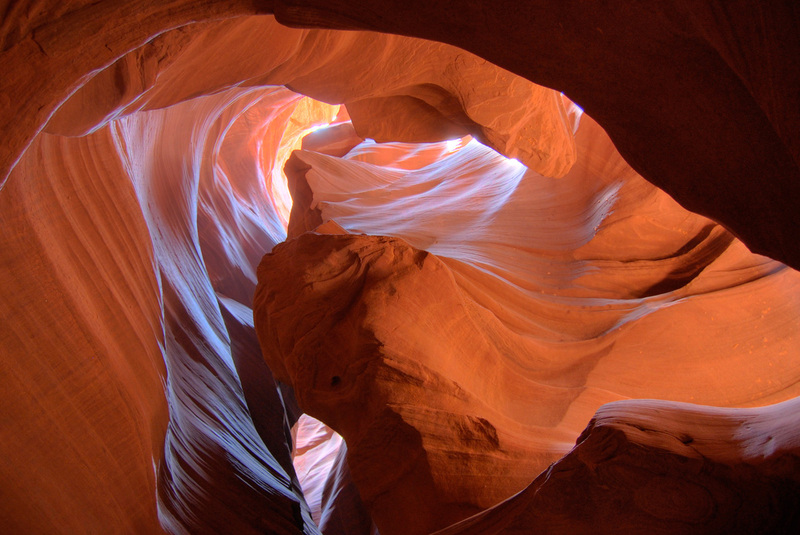 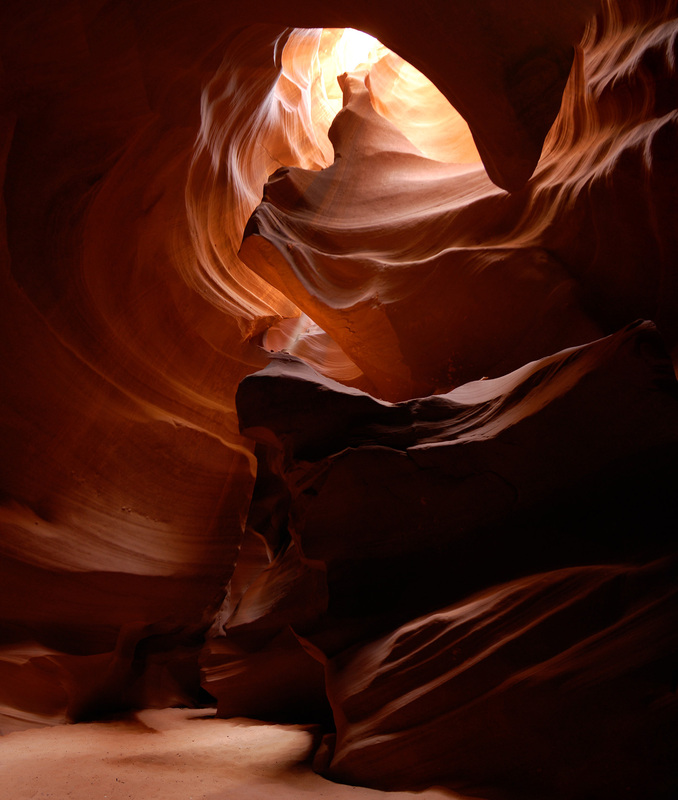 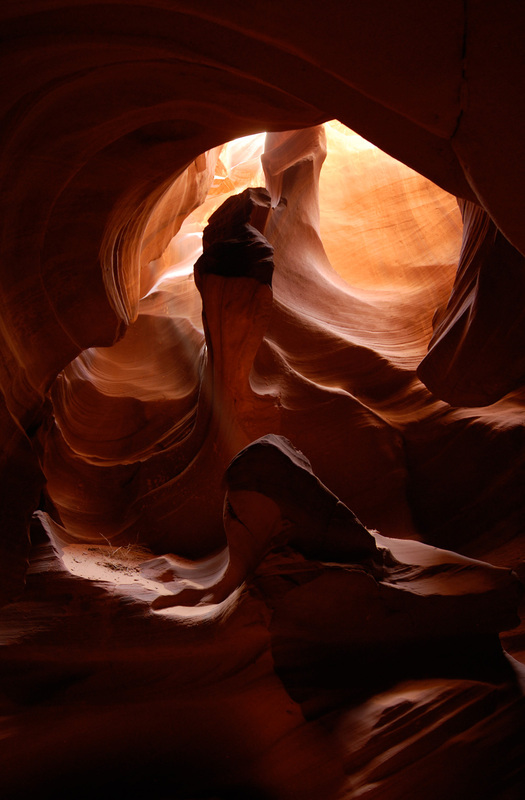 Antelope is a slot canyon, formed through erosion. 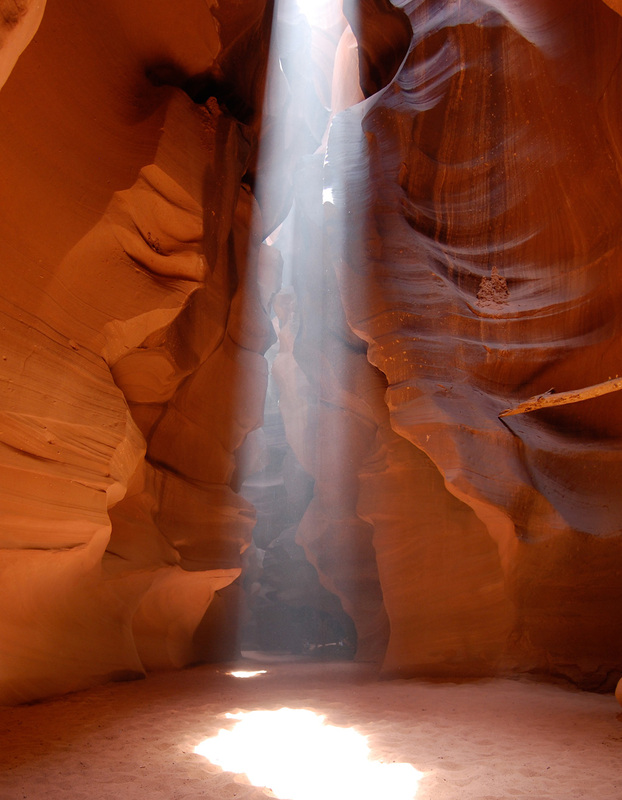 Its defining feature is the way light beams stream gorgeously through openings in the ceiling, bathing the flat, sandy floor below. 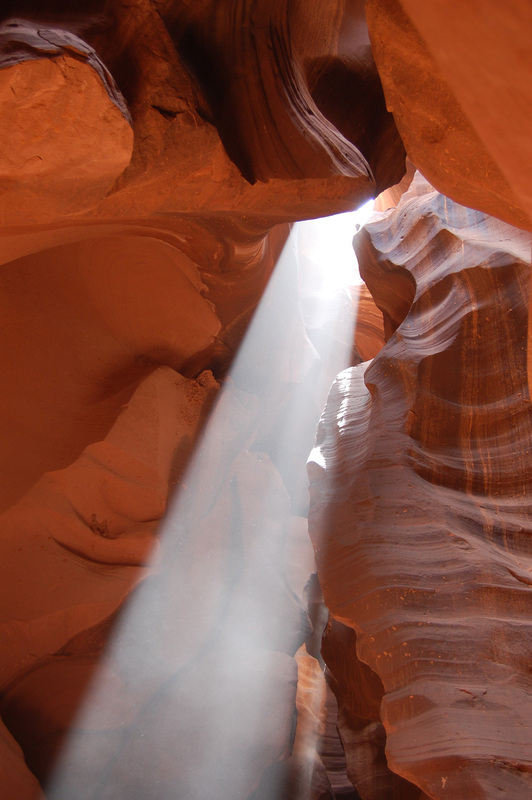 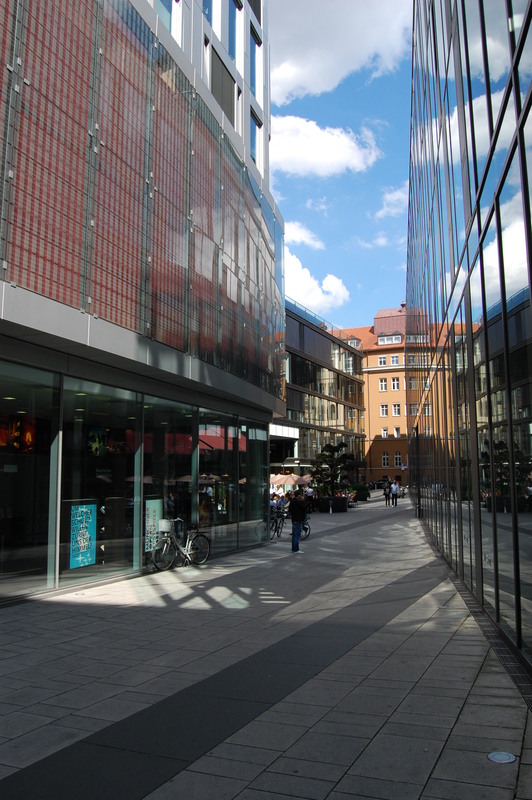 The light beams are visible each day during a narrow, one hour window. 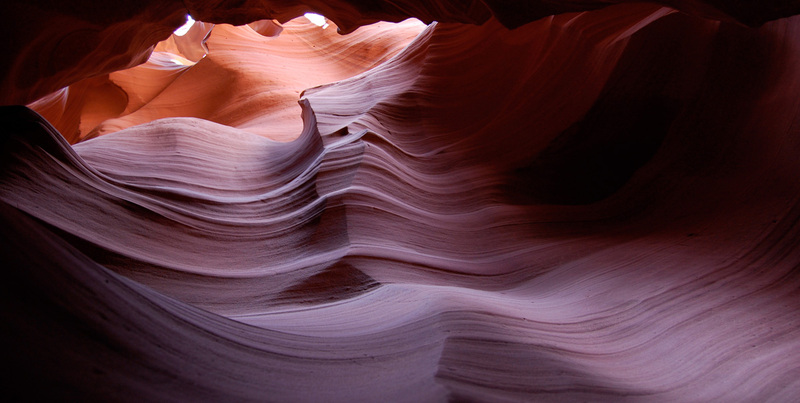 Shutterbugs have to work quickly. 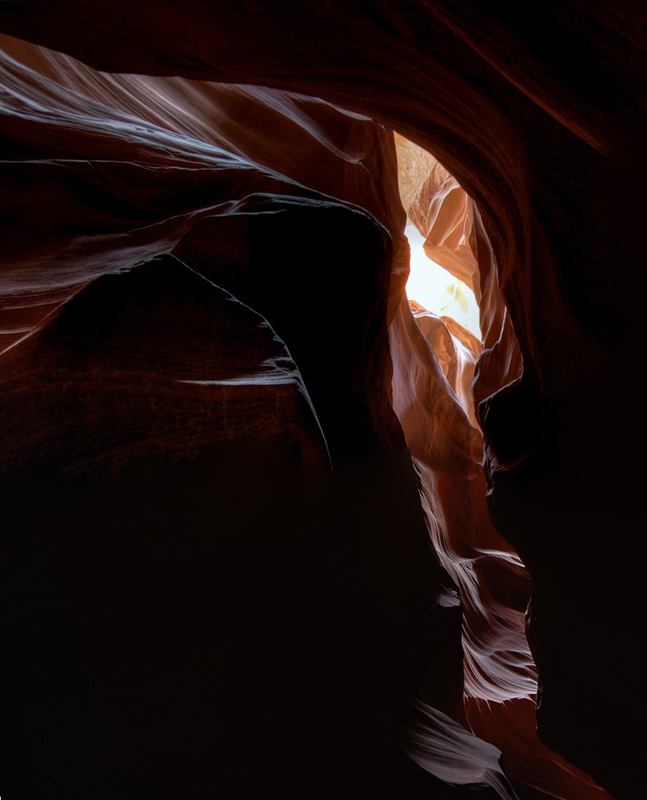 Antelope Canyon has been photographed countless times by photographers from all over the world, but I was compelled to add my own touch to the collection. 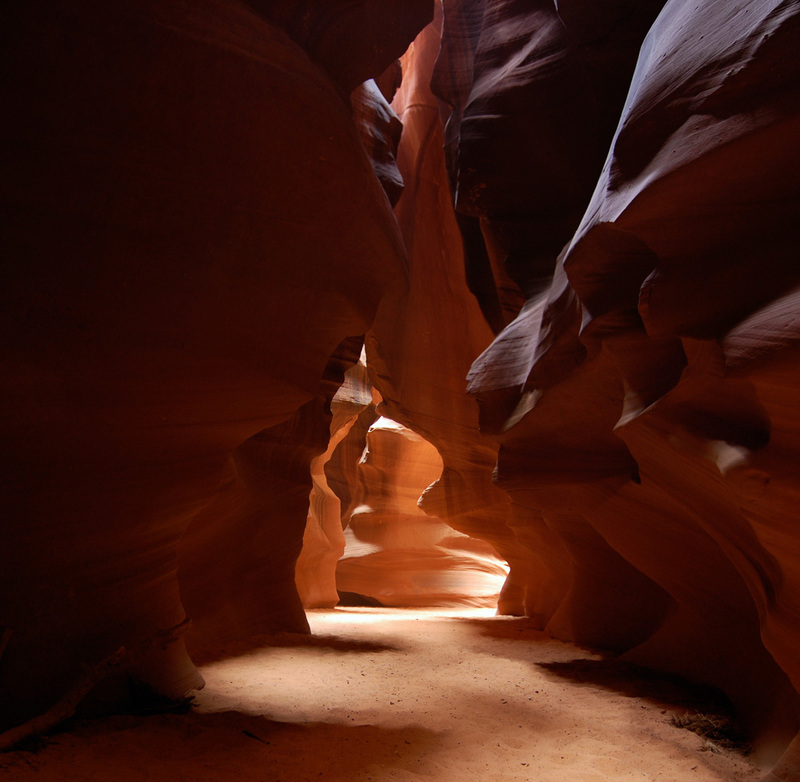 These images were taken while on a dedicated Navajo photography tour. 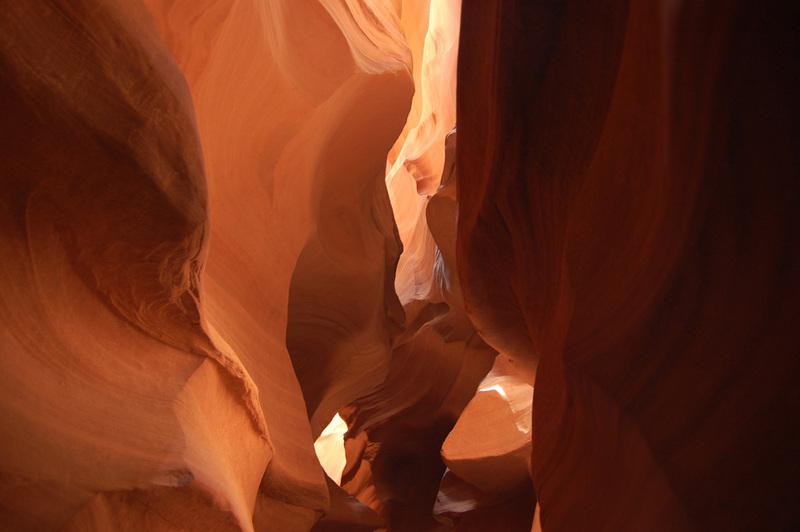 What is often missing from photographs of the canyon is the sense of just how many people are crammed between its walls at single time. 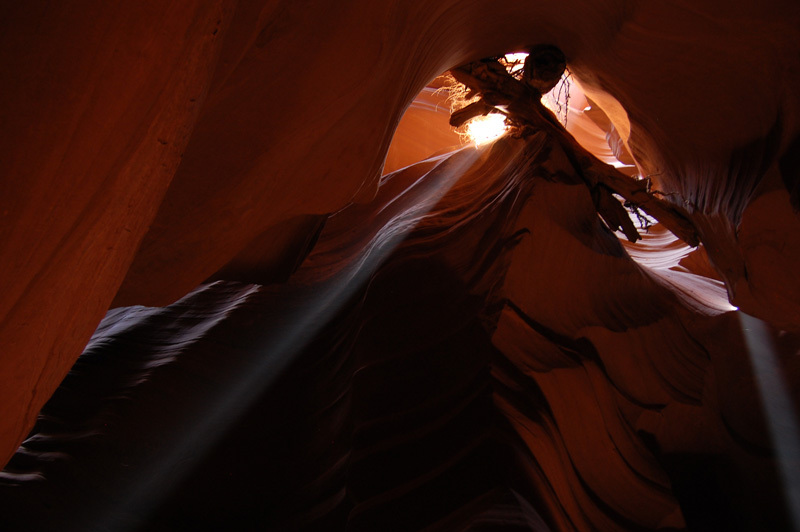 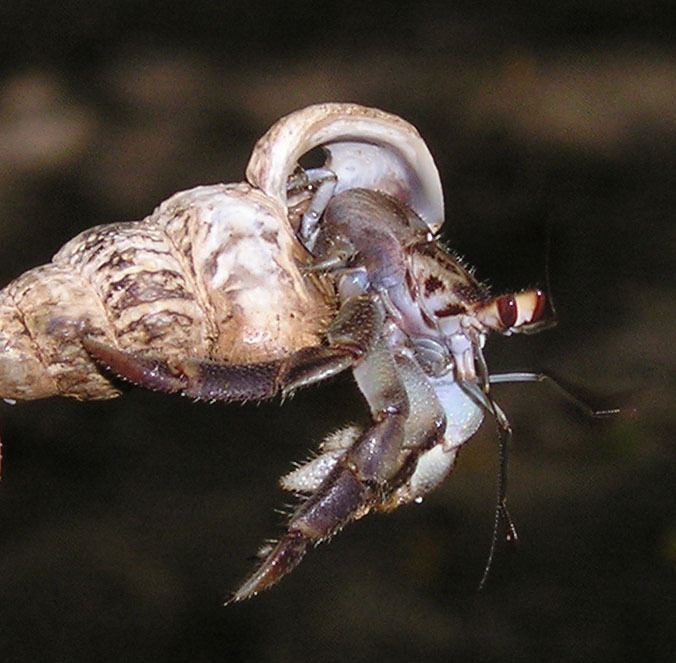 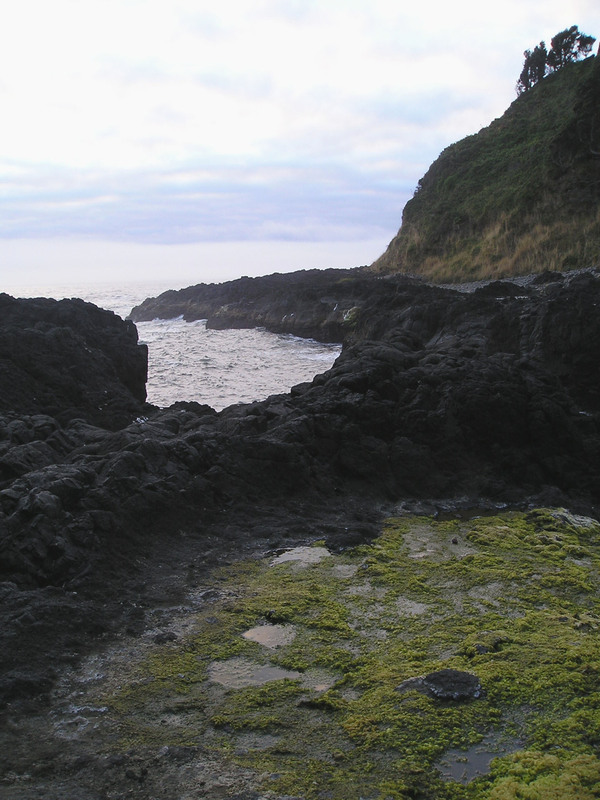 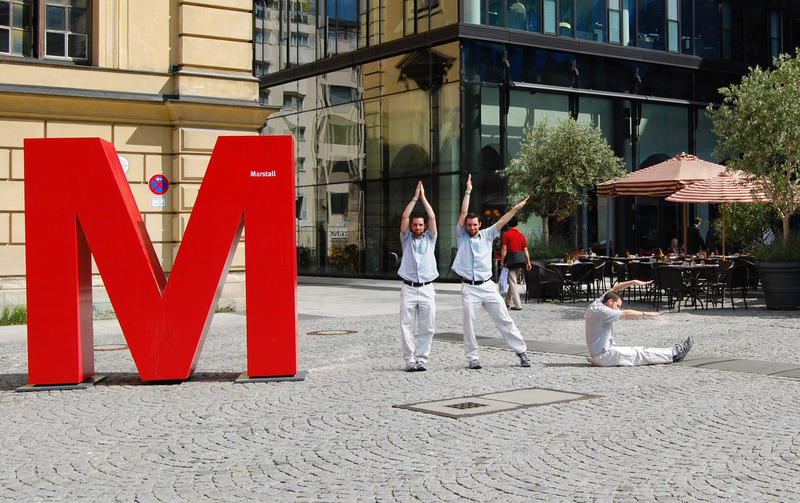 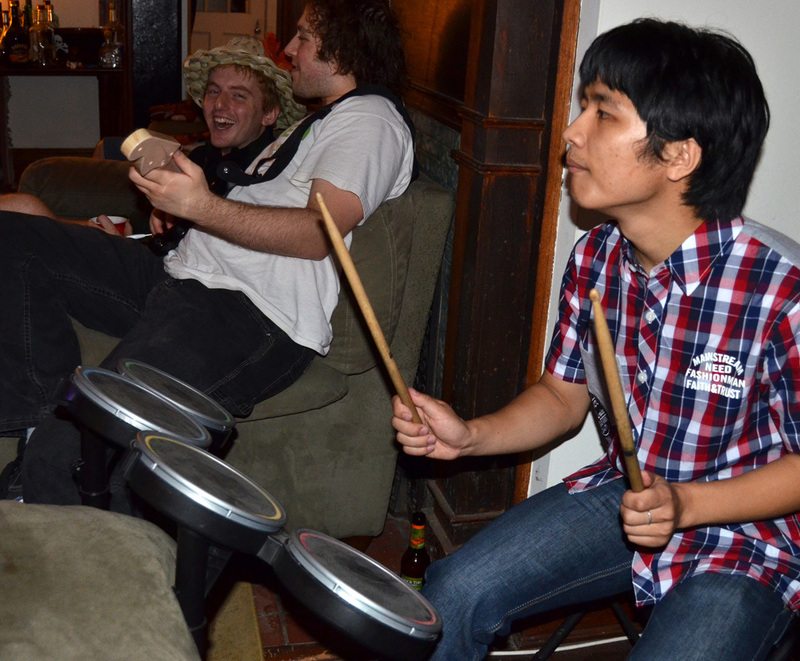 Many of these images have been digitally edited, often to remove people from the shot. 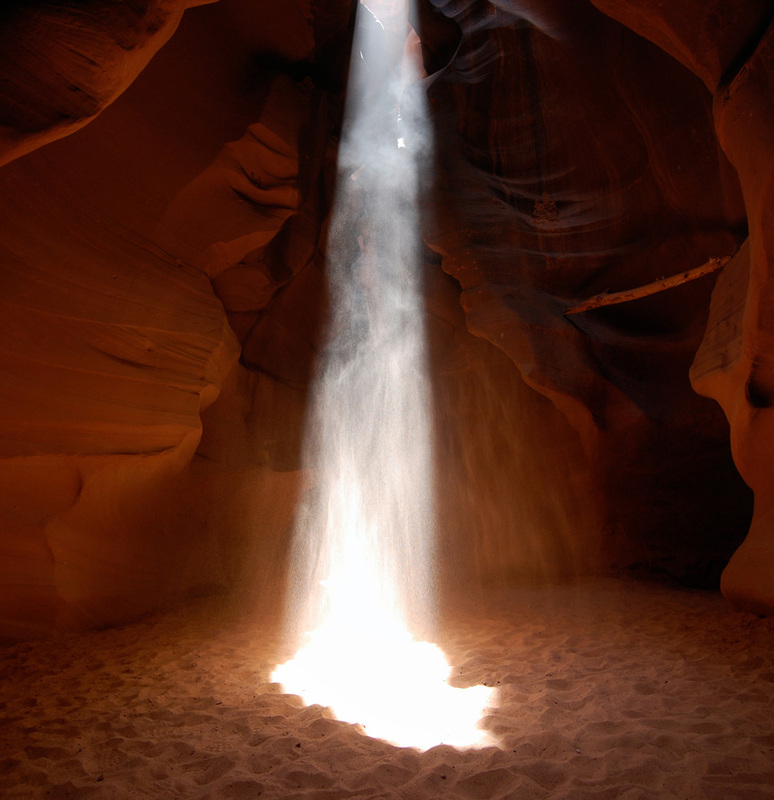 One thing you learn only once you get inside is that dust is being kicked up constantly. 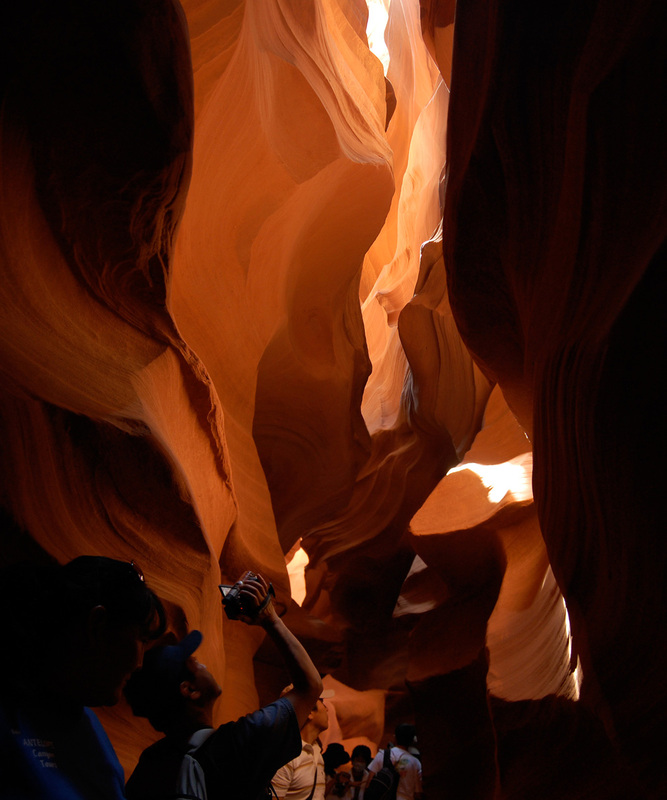 Photographers are warned, for the sake of their cameras, to not change lenses while in the canyon.